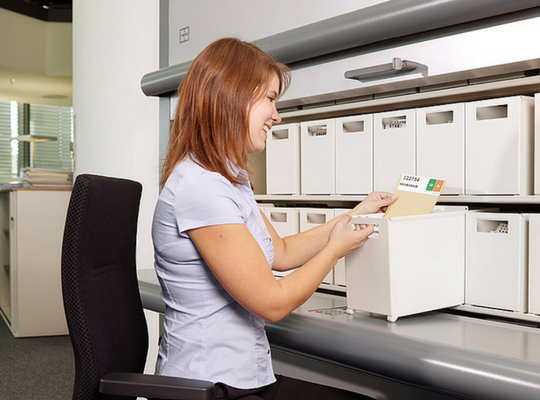 The Hänel Rotomat® Office creates an enormous amount of filing space on a small footprint. It saves space (up to 80%), saves time and protects your datas. Rotomat carousel shelves are characterised by modular structure and because of that are easy to expand. 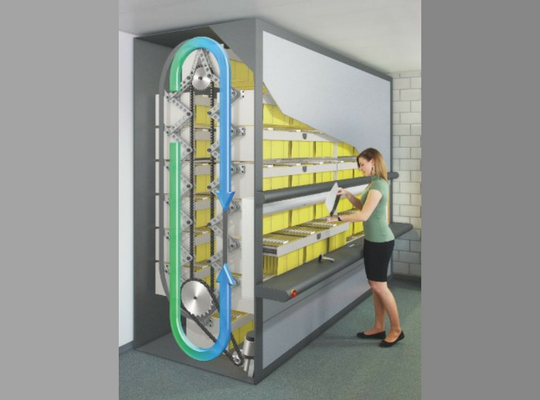 Vertical movement of a shelf on a flattened ellipse is the basis of unit operation. Shelves are always in vertical position, similarly to gondolas. There is no defined direction of shelf movement: it depends on the fact whether a given shelf will be closer to the operator when it moves up or down. This allows to shorten time required for access to a given document. 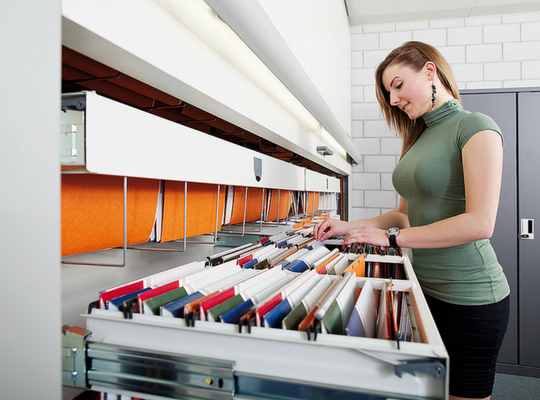 Every single shelf is designed for a given type of stored documents. A carousel shelf may be adjusted to storage of files with various sizes: A5 or A4 and also to various types of file binders, suspended or free-standing folders or documents stored in boxes.